Solo Or So Many - Which Type Of Hike Is Best For You? Solo or So Many – Which Hike Is Best For You? Solo or with a group, what’s your preference for a backpacking trip? The obvious answer is, “Either way you are out hiking!” But there are advantages and disadvantages to each. Injury – on a recent hike our group included a nurse and an EMT, thankfully I had no use for their services other than some great company. 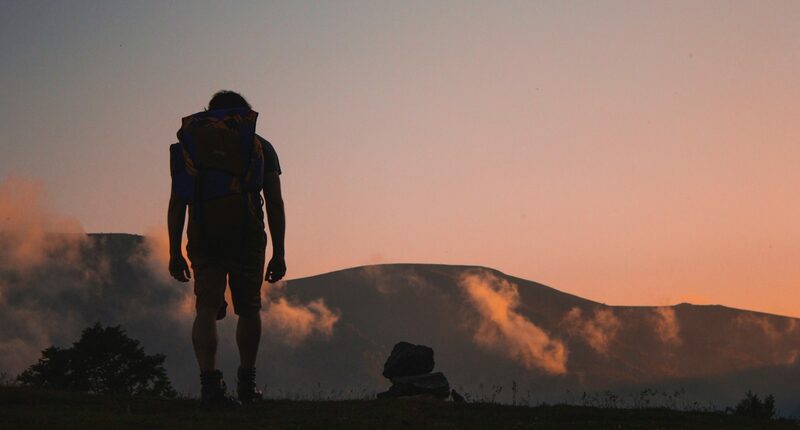 If you are not on a well-traveled trail, even a minor injury can become a major event if you are not able to find help for hours (or days in some cases). Animals – danger from animals can be an issue in some areas. The most common in the lower 48 states would be black bears. Any animal will be much less likely to stalk or attack group of hikers. The other animal to consider is the two-legged kind. Though rare, there are reports of robberies and disappearing gear on some of the national trails, especially as they pass near larger cities. As with four-legged critters, a group will be a deterrent to all but the boldest jerks. Fellowship – probably the greatest benefit of hiking with a group is fellowship. There are few things more enjoyable than sitting around a campfire with a group of your closest friends! Just a short note on Trail Etiquette. I recently read a great article about the importance of keeping your group small (less than 10). The writer detailed their frustration as they followed a group of about 30 loud inconsiderate hikers down a trail. My last hike was a solo hike. The most common question was, “Is it safe to go by yourself?” And the answer is, “It is as safe as you make it.” Two things I would suggest. Double and then triple check that you have everything you need. Hiking solo there is no one to borrow stuff from, especially water. Check your map for available water sources and talk with a local outfitter or a Park Ranger about water conditions on the trail. I recommend (at least to start with) that if you are hiking solo, you stick to well-traveled trails that will eventually have people on them. Bushwhacking (off trail) where the only things that will find you are buzzards and coyotes is not a good plan, even if you are experienced! Solitude – you will be more likely to see wildlife and experience nature. The bull elk that jumped up in front of me, causing my heart to skip a beat, would have been long gone as a group of hikers approached the area he was bedded down in. Reflection – a solo hike is a great opportunity for reflection. Take your Bible! In the quiet time sitting at camp by yourself, eventually you will find you are not reading the Bible, it is reading you. Pace – if you are hiking solo you set the pace. It’s nice to take an extended break or to push for that extra mile without worrying you are pushing or slowing others down. One thing to take into consideration, if your hike is not out and back or a loop trail, you will need to arrange for someone to shuttle your vehicle or drop you off at the trail head. Solo or group hike, which way is best? Well it depends. For me, being a people person, I admit that I missed having someone to talk with while working my way down the trail. What’s your preference? Leave a comment and share your experience on the trail! Previous PostPrevious God’s Blessings Are Hard To See With Gum Stuck In Your Hair!